The 90-acre ‘Stadium Quarter’ project in Warrington has been given the green light. The £190m project will connect the bus interchange with the Warrington Wolves’ Halliwell Jones Stadium and create a mixed-use development comprising educational, business, leisure and residential property. 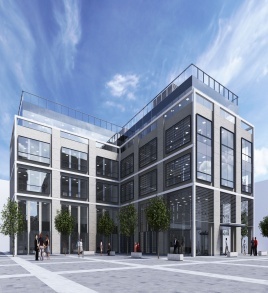 Warrington Borough Council has approved an outline masterplan for the regeneration of plot north of the town centre and appointed joint venture partner Iliad to build the scheme. A phased programme of development over the next decade is expected to create up to 1,000 construction jobs and nearly 4,000 new permanent jobs when fully completed in 2024. Phase one of the project, comprising £87m of investment, is now at an advanced stage and work will start on site in January 2014. It will be managed by Warrington & Co. which was established to act as a partnership between Warrington Borough Council, business leaders and key organisations. The masterplan for the Stadium Quarter is currently in draft form and will be finalised following further ongoing consultation with stakeholders. David Anastasiou of Iliad said: “This development is potentially a ‘game changer’ for the whole of Warrington.